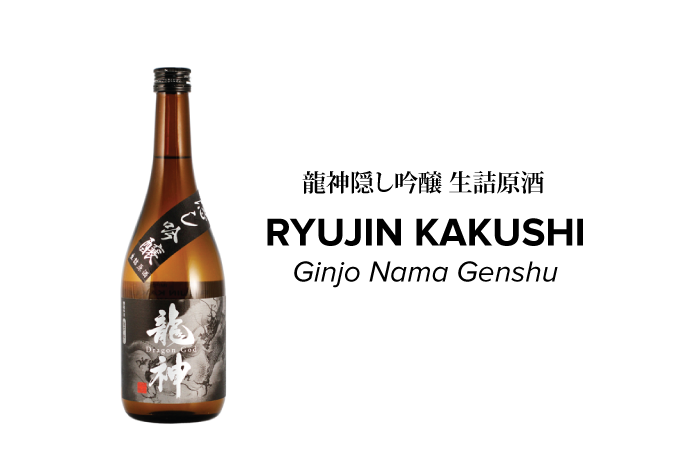 Ryujin Kakushi Ginjo Nama Genshu is exclusive to restaurant use only. 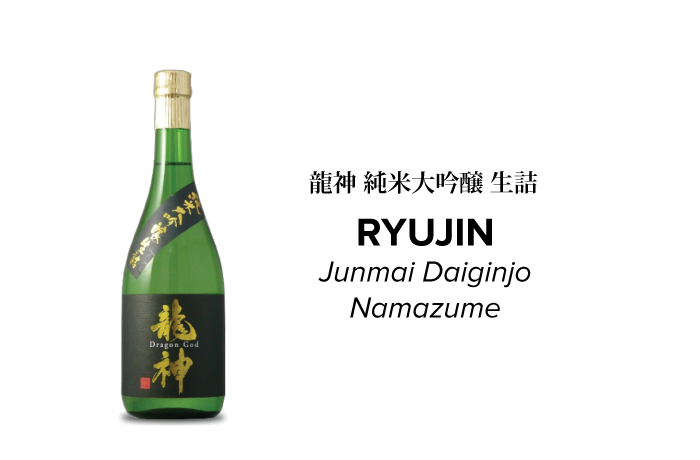 Ryujin Junmai Daiginjo has a splendidly balanced fragrance of red apple and fabulously fresh, zesty citrus. It's enticing aroma refreshes your senses and follows through seamlessly from the beginning to the end. Welcome this special brew, Ryujin Junmai Daiginjo, that has been pasteurized only once prior to maturation thereby retaining the full-blown rich and lively flavors extracted from Yamadanishiki sake rice.